Happy New Year! As we begin another year of fun and games, I will bring you up to date on the goings on of our Irish Club. December was busy. 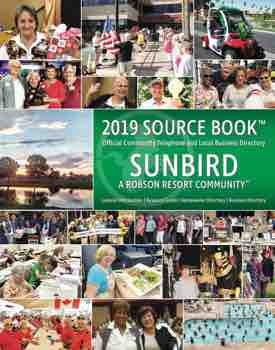 Our December meeting was postponed for a week, resulting in failure to make the deadline for January’s article in the SunBird News. Briefly, our December meeting was highlighted by the collection of gifts for the students of Hartford School. Thanks to everyone who donated these much-needed gifts for the children. Our annual Christmas party was quite a success. Jamal furnished the music for dancing following a delicious dinner served by Julie and her Elves. Shirley Goodwin did an amazing job again this year as chairman of the party. She was assisted by Pat Pacelli. A big thank you to both ladies for their efforts. And now, for January’s news. 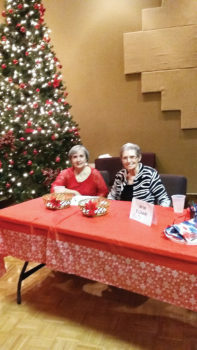 Our meeting was held on January 3 in the ballroom. President Jack Dolezal called the meeting to order at 5:00 p.m. After the committee reports were given, George Richardson spoke about our February trip to Laughlin. The bus is completely full at this time; however, a waiting list will be available in case of any cancellations. We have 160 paid members as of February 3. We have welcomed 18 new members from the waiting list, bringing the total membership to 178. New members Jack and Leslie Lamaster were welcomed into the club. Membership is now closed until next fall. Baskets for the Corned Beef Dinner in March were discussed, but no definite plans on when, where, how, who or why there will be baskets this year. Also coming up in March is the Irish Club St. Paddy’s Day Golf Cart Parade. Walt Kinney is in charge of this event but was not present at this meeting, so details won’t be available until March’s meeting. The 50/50 drawing was won by both Deanna Calvert and Ruth Ann Hobbs, each winning $50.00. (Talk about the Luck of the Irish! Ruth Ann has been a frequent winner of the 50/50 over the years.) The Dollar Game was won by Bob Bitler. Total amount won had not yet been determined at the end of the meeting, although Bob had a nice big pile of bills in front of him at that time. Next meeting will be held on February 7, same time, same place. See you there!